This weekend 50 people were killed in one of the biggest mass shootings in modern US history at PULSE nightclub, a gay club in Orlando Florida. 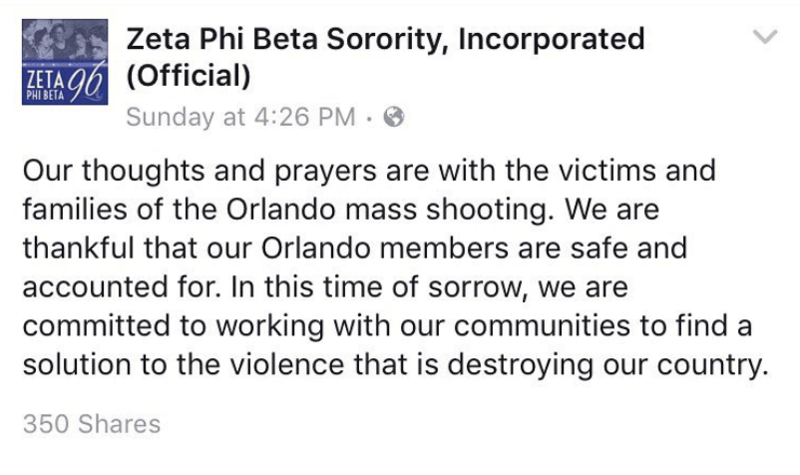 So far, Phi Beta Sigma is the only Black fraternity to publicly release statements on the shooting and we at WatchTheYard.com applaud them for this statement about supporting and defending the community no matter what their race, beliefs or sexual orientation are. Throughout it’s history, Black greekdom has always been at the forefront of civil rights but recently it has been seen as complacent and silent on many issues happening in this country. 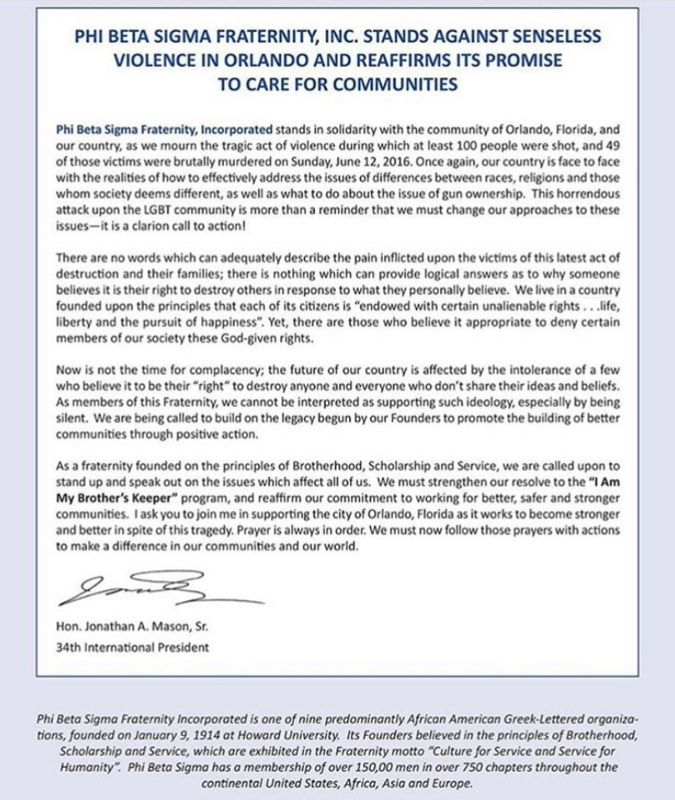 This statement will hopefully spark a flame and force Black fraternity and sorority members to deal with tough issues within this country.